Tokyo is as you already know the capital of Japan. What comes to your mind when you hear Tokyo may be a big city such as Shibuya and Harajuku where there are lots of skyscrapers and passerby. Can you believe if there is a place where we can enjoy nature within an hour of city center by train, and to top it off, in Tokyo? 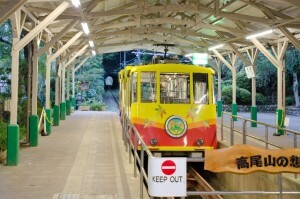 Takaosan -Mount Takao is located in the city of Hachioji, Tokyo, about an hour away from Tokyo or Shinjuku station by train. Its 599 meters tall is a rather small mountain compared to Mount Fuji, the highest mountain in Japan at 3776 meters, and the Tokyo Skytree, the tallest television broadcasting tower at 634 meters tall. The mountain is very famous for easily accessible to its location and every climbing route takes 3 hours round trip. More than 2.6 million people visit annually, which is the largest number of any country in the world. There are 7 million mountain-climbers a year worldwide so it could be said that among one-third of them visit Mount Takao. 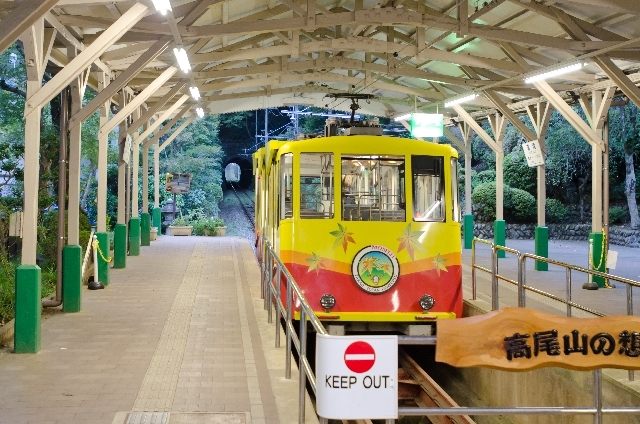 Next, let us introduce some great sights of Mount Takao. First and foremost, it affords you a superb and beautiful view at the top. 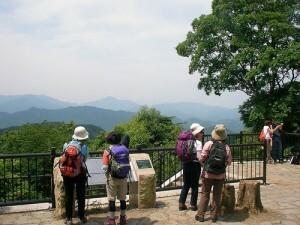 There is an observation deck, which offers panoramic views of cherry blossoms in spring, new green leaves in summer, and tinted autumn foliage as well as snowscape in winter. The summit is the best photo spot and always full of tourists. Takaosan Yakuoin, a big buddhist temple located at the middle of the mountain is also famous. There is a legend that tengu, Shinto god from Japanese folklore, has been living in Mount Takao since old times. 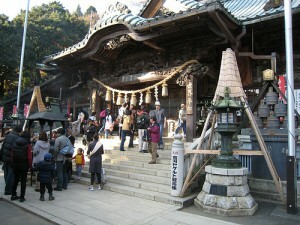 This temple is dedicated to tengu as god. You can have shojin-ryori, or buddhist cuisine which monks eat on a daily basis, when you make a reservation in advance. On a final note, here are some recommended foods of Mount Takao. First, you’d better eat tororo soba, hot buckwheat noodle topped with the puree of Japanese yam. It is said that tororo soba originated when monks at the Yakuoin temple had served the nourishing soba for worshippers to relieve their fatigue. You can enjoy mucilaginous and puffy textures of tororo. 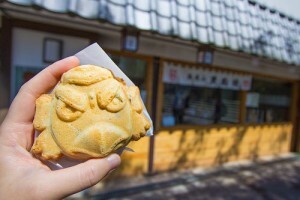 And Tenguyaki also tastes good, which has a sweetened bean paste inside the crispy waffle, shaped tengu. It can readily be eaten and Its sweetness and cute appearance also heal the fatigue of climbing. 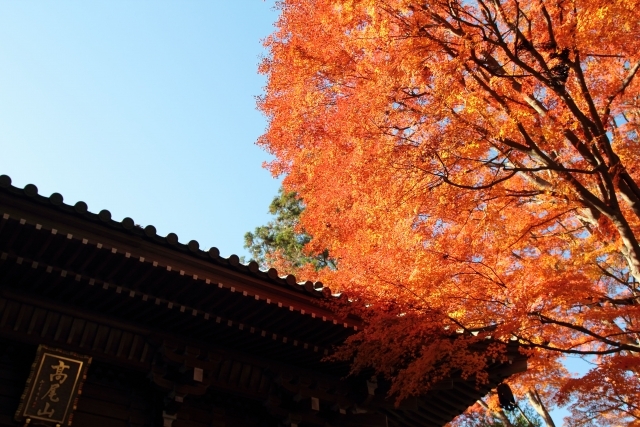 Mount Takao is especially beautiful in autumn for colored leaves. Why don’t you visit when you travel to Tokyo? Nikko Saru Gundan | Come see the performing monkey troupe!